Your university library can provide you with numerous databases that may be relevant for your research and can contain both articles and other types of literature. Some of the most relevant are introduced below. To access these, search the library catalogue or find a link on the library home page. You will need to log in with your library ID to access these databases. PsycINFO is an abstract database that provides systematic coverage of the psychological literature from the 1800s to the present. PsycINFO contains bibliographic citations, abstracts, cited references, and descriptive information for a wide variety of scholarly publications in the behavioral and social sciences. 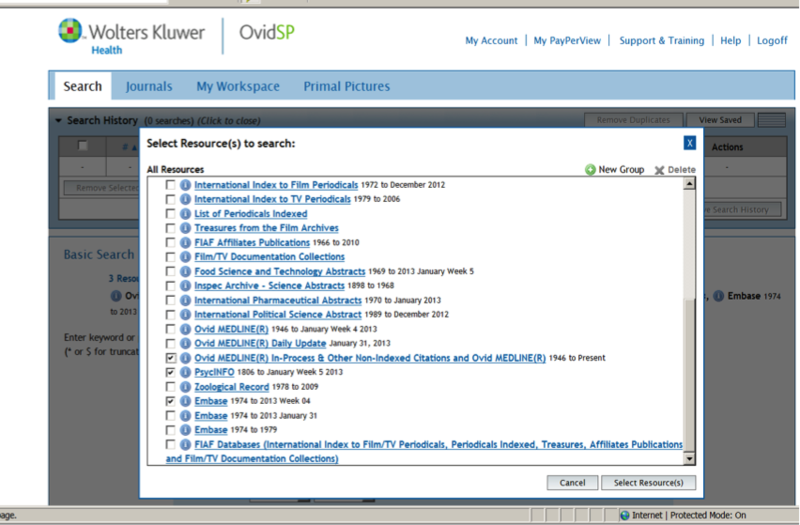 Use the Advanced Search function to combine searches through the user interface Ovid that you may have access to through your library’s home page. Note that the search words you enter are automatically interpreted as an exact phrase search, unlike most databases that automatically interpret your search as an AND search. Create a User Profile to save your searches. Scopus is the largest abstract and citation database of peer-reviewed research literature containing references from over 19,000 titles from more than 5,000 international publishers in the following fields: scientific, technical, medical and social sciences fields and arts and humanities. All of Medline is included in Scopus. Bibliography which contains the following databases: Science Citation Index from 1900-, Social Sciences Citation Index from 1956-, Arts & Humanities Citation Index from 1975-. Can be used for citation searches. Web of Science can be very useful for multidisciplinary searches. Find other useful search tools on the next page.